Facebook is where many people go to get news about their friends' latest parties and vacations. Now, if reports are accurate, Facebook may soon be where smartphone and tablet users can get the latest news from around the world. Industry analysts say that adding a Facebook brand of news reports could be a great move for a social network looking to beef up its mobile offerings. "It's a good idea. Hearing about how drunk your friends got last weekend gets old," said Ezra Gottheil, an analyst with Technology Business Research. "They could show you news stories and tell you what stories your friends are reading." Facebook is working on a news aggregator service, dubbed Reader, that brings together news stories from different outlets and enables users to swipe through to quickly scan articles, according to a report this week in the Wall Street Journal. The service will be offered as an app for smartphones and tablets, according to the report. A Facebook spokeswoman declined to comment on Reader. The reported Facebook plan comes amid a flurry of news reader activity since this spring Google announced this spring that it was pulling the plug on its flagging Reader Web app and service. Feedly, for one, quickly stepped up and said it would offer a paid reader service this year, while AOL Monday launched a rival product. "It is amazing how many companies filled the empty space left by Google," said Gottheil. "There are rumors about about a pure reader, without social network input. That doesn't make sense for Facebook. Take advantage of friends' feeds and work that into it," he suggested. Zeus Kerravala, an analyst with ZK Research, said it would be perfectly natural for Facebook to aggregate news sources. 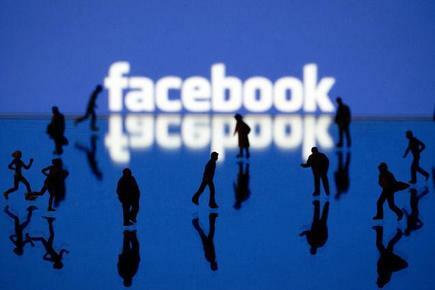 "Facebook already is doing this in a way," Kerravala said. "There's generally a lot of news in user feeds but it's often from following news sites or from their friends reposting pieces. I think they have a big enough audience that it would be a successful product." He also said it's a good move for a company intent on pulling in more mobile users and figuring out how to make lots of money off of them. "People use their mobile devices to kill dead moments in the day, like waiting for a cab or riding on a bus," Kerravala said. "News can be consumed in small bites. That is right up Facebook's alley."